Myositis is an inflammation of the muscle. Myositis in dogs can be a serious and painful condition and maybe an early indicator that the animal is ill in some other way. Literally, Myositis means muscle (myo-) inflammation (-sitis). This type of muscle disease (myopathy) represents a group of different diseases which all share the feature of inflammatory cells within the muscle. What causes Myositis in dogs? Response of the body to an infectious agent (parasite or virus) within the muscle (Infectious Myositis). Abnormal immune reaction of the body directed against the muscle (Immune-mediated Myositis). In Masticatory Muscle Myositis the body produces antibodies that target parts of muscle that are only found in the masticatory muscles. No-one knows why the immune system suddenly becomes ‘over-excited’ and attacks the muscles in this way in some animals. Myositis in dogs may also be associated with cancer. Inflammation may develop first and turn into cancer with time (pre-cancerous change), or cancer elsewhere in the body may trigger an immune reaction to the muscle (paracancerous effect). How would I know if my pet has Myositis? The signs caused by Myositis in dogs can vary considerably depending on the muscles affected. Masticatory Muscle Myositis initially causes swelling of the muscles on the top of the head followed, a week or two later, by progressive muscle wasting (loss of muscles). The dog usually has difficulty moving its jaw, which causes pain and problems when picking up food or drinking. Eventually, Masticatory Muscle Myositis causes the muscles to become fixed so that the dog cannot open its mouth. The eyes may also appear sunken as muscles behind the eye shrink. Myositis in the muscles around the eye initially cause protrusion of the eyeball. There may be swelling around the eye eventually associated with deviation of the eyeball, and impaired vision. An animal with a generalised Myositis (Polymyositis) has a stiff ‘stilted’ gait, muscle pain, weakness and cannot exercise normally. In the early stages of disease generalised muscle swelling occurs and later the muscles are wasted. Other signs associated with Polymyositis include regurgitation of food and water, difficulty swallowing and sometimes breathing problems. Some breeds of dog (Rough coated collies, Shetland sheepdogs, Australian cattle dogs) have a condition called Dermatomyositis in which skin lesions develop associated with muscle atrophy, pain or abnormal gait. How will my vet diagnose Myositis in my pet? Myositis in dogs can be confirmed by taking a sample of muscle tissue for examination. This will show the inflammatory cells within the muscle. Masticatory Muscle Myositis can be diagnosed by a simple blood test which measures the level of antibody directed against the masticatory muscle (2M antibody titre test). Other tests may be necessary to eliminate a potential infection (blood tests) or to rule out the presence of a cancer in the body (chest and abdominal X-rays and ultrasound). Is there any treatment for Myositis? Treatment for Myositis in dogs is usually aimed at trying to counteract the ‘over-excitation’ of the immune system by giving drugs to suppress the immune system (immunosuppressives). The main treatment is usually high doses of steroids (prednisolone). Other immunosuppressive drugs (such as azathioprine, cytarabine, mycophenolate, cyclosporin, and cyclophosphamide) can also be used in combination with steroids. The short-term aim of the treatment is to return the animal to normal using high doses of medication. When the disease is controlled the quantity of drugs is slowly reduced (hopefully without the animal relapsing). The long-term aim is to take the animal off any drugs, but usually this is not possible and a continued low dose of medication is needed to keep symptoms at bay. All drugs can have side-effects and immunosuppressives are particularly powerful drugs. The main risk of using these drugs is that the immune system will be shut down too much, making the dog or the cat more prone to infection. In the rare cases where cancer or an infection is found to be the underlying cause of the Myositis, treatment should be directed against this. Unfortunately, the prognosis is these cases is rather guarded. The outlook for dogs with Myositis is usually fair – although improvement may not be seen for several weeks. Corticosteroids can cause muscle wastage and this may give the impression that the animal is getting worse, even though the disease is well controlled. 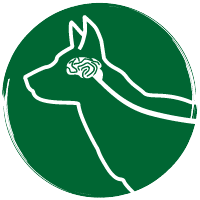 Your vet will need to monitor your dog closely whilst it is receiving treatment, both to ensure it is getting better and also to check that the drugs are not causing any serious unwanted side effects. If an underlying cause of the Myositis can be identified and successfully treated it may be possible to withdraw medication altogether without the condition relapsing.